You can find our buy back prices on our dedicated page - click here for our live price selling page. 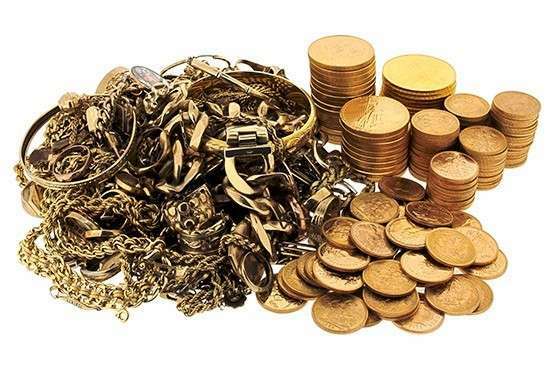 If you are thinking of selling your coins, bars or jewellery, we offer a simple and secure service to buy your items. We buy all types of coins, bars and medallions. Whether they are bullion, commemorative, ancient or modern, high grade or circulated. There is no coin or bar that we would refuse to buy. We don't just sell gold and silver bullion coins and bars, we buy it too, no matter whether you bought them from us or not. 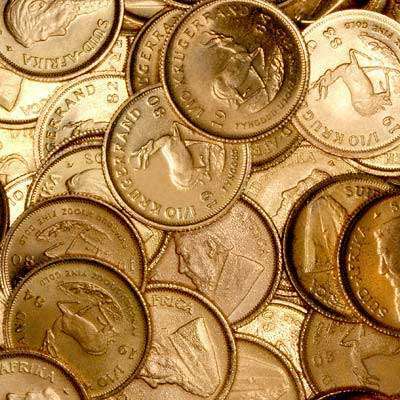 We buy everything from Sovereigns, Krugerrands, Britannias, Eagles and Maples to Ducats, Francs, Guilders and Roubles. Gold, silver, platinum and palladium; we buy the lot. You can see what we are offering for the most popular items on our Sell to Chard page. Using the live metal price we will offer you a highly competitive price. These prices do fluctuate so check the live price to see when the time is right for you to sell. If you are selling one or thousands, we are interested in buying them from you. With over 50 years in the industry, we take a great deal of care to ensure that coins and bars are genuine. If coins have been in jewellery they will not be sold as bullion, we offer approximately 85%* of the intrinsic gold value. 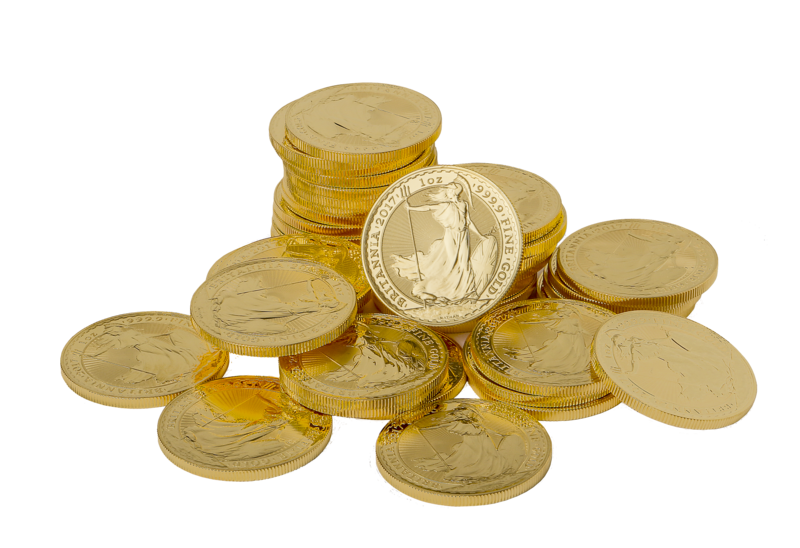 A sovereign weighs 7.9881g, it is struck in 22 carat gold and contains 0.2354 Troy ounces of gold. If you have a high grade or rare coin we would need to physically see the coin in order to make an offer to buy. We are particularly interested in buying high grade numismatic material, whether as an individual coin or a large collection. If it is something we particularly want to buy, we may even offer more than it's catalogue price! Even if your coins are worn, scratched and have been sitting in the bottom of your drawer for years, we are interested in buying them. 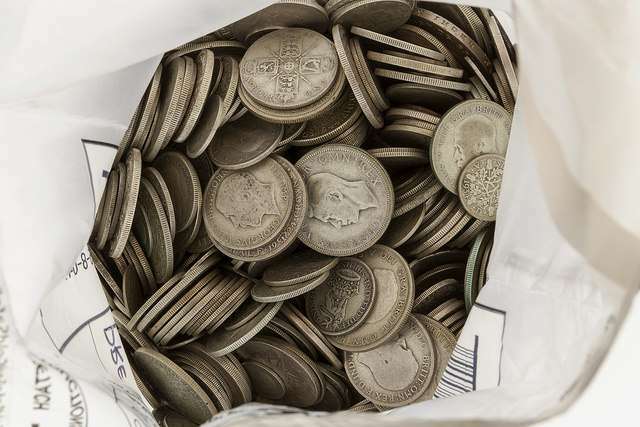 It is faster for both you and us if you sort them out into foreign or British; Silver coins pre 1920 (0.925 sterling silver); pre 1947 (0.500 silver); and post 1947; Pennies; half-pennies; farthings etc. These coins will not necessarily have a high value but it is surprising how much they can add up to. Recently, we paid almost £300 for a biscuit tin of coins but if it had been a tin of old pennies it might have been worth only fifty pence. We also buy platinum, palladium, commemorative coins, stamp replicas, medallions and circulation coins. Please give the showroom a call and we will work out a price for you. If you have jewellery that isn't loved any more, is unfashionable or that you simply no longer want, we are happy to make you an offer to buy. If your jewellery is not British hallmarked we will test the item and will round the price down to the next carat break (eg. 12 carat will be bought at 9 carat). We are always happy to buy diamond rings, particularly those with high quality and larger stones. Our Jewellery Manager, Hilary, will be happy to advise and to offer you a price to buy. We manufacture our own rings and have our own stone brokers which enables us to sell high quality jewellery a third of the price lower than High Street jewellers. Generally, we will pay 10-20% of the insurance valuation. If you think that your jewellery is worth more than this, we always suggest that you take the item back to where it was bought and ask if they will buy it back. Most of the High Street jewellers are not interested in buying second-hand jewellery as the price they offer on buy-backs will alert customers to the extent of the mark-up they have charged in the first place. There is a difference between an offer to buy and a valuation. The offer to buy is how much we would pay to buy your jewellery from you. A valuation is usually required for insurance, probate or disposal purposes. Whilst the offer to buy is free, we charge 1.5% of the total value for a valuation. This is so that if your jewellery is lost or stolen, the insurers will use this to pay to replace the items. If you require a valuation, provide us with as much information as possible and we will give you a thorough and professional appraisal. Did you know we are one of the leading UK buyers of scrap gold? We pay 90% of the intrinsic value for British hallmarked scrap gold jewellery. Many of our competitors only offer between 50-85% and some unscrupulous dealers only offer 5-10% of the true value. Follow the Live Metal Price - this will show you if gold etc is up or down. This will help you to choose when it is the right time for you to sell. Shop around and compare the rates on offer. If you are enclosing gold or silver, use a secure, insured service so that you can track your parcel and could be recompensed if your parcel is lost. Beware of unscrupulous dealers. There are plenty of rip-off merchants out there who will not offer the true worth of your good. Wrap items securely to protect the items and avoid movement. Include a covering note with your name, address, telephone number and your bank account number and sort code. If you are sending the items, we recommend using Royal Mail Special Delivery. Parcels can be insured up to £2,500, use multiple parcels when sending large amounts. If you are asked what the parcel contains, rather than saying you are enclosing gold or silver coins, say that it is a numismatic item. Payment can be made by cash, by BACS or by cheque. Cash payments are only offered in person in the showroom and is subject to availability and cash limits. A 1% fee for cash applies over £1,000, ID and Proof of Address are required. BACS (bank transfers) are generally paid within 3 working days, however, this may be longer, you will be advised first. CHAPS transfers are available at a fee of £30. If you prefer to be paid by cheque, let us know and we will arrange this. Call our team on 01253 343081 or email us at info@chards.co.uk with details of the items that you would like to sell or come along to our showroom. We will be happy to help you achieve the highest price available. Please note that until we have physically seen your items any prices quoted are an indication of what we will offer. * The price we buy at can change subject to market conditions. Volatility in the live metal price and supply and demand can affect the buy back price. This can go up as well as down. Call for more details. ** Weight - the price of precious metals is based on Troy ounces which is then converted to grams. A regular ounce contains 28.35g whereas a Troy ounce contains 31.1035g.